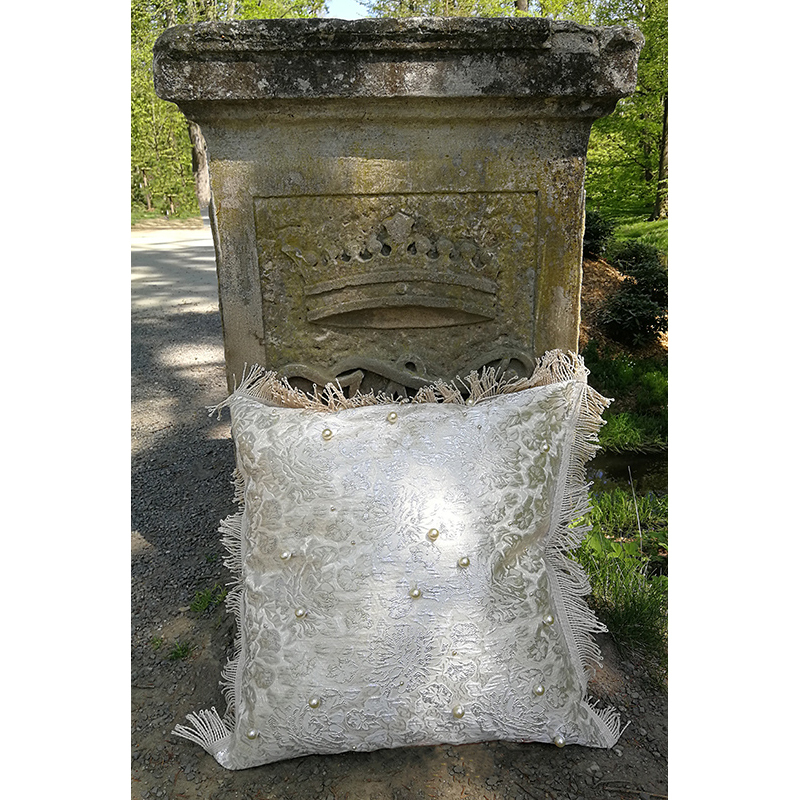 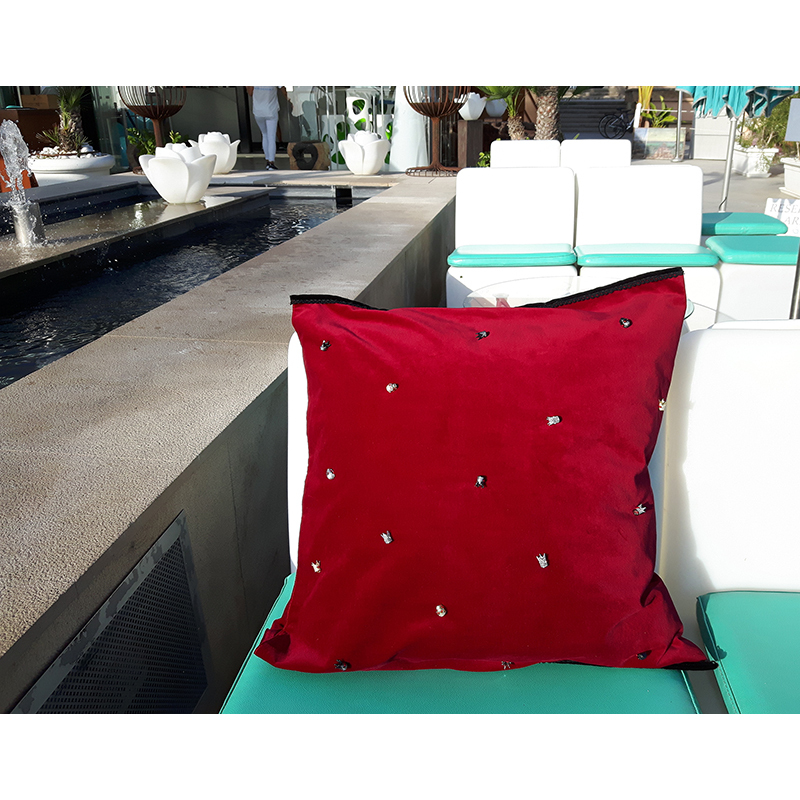 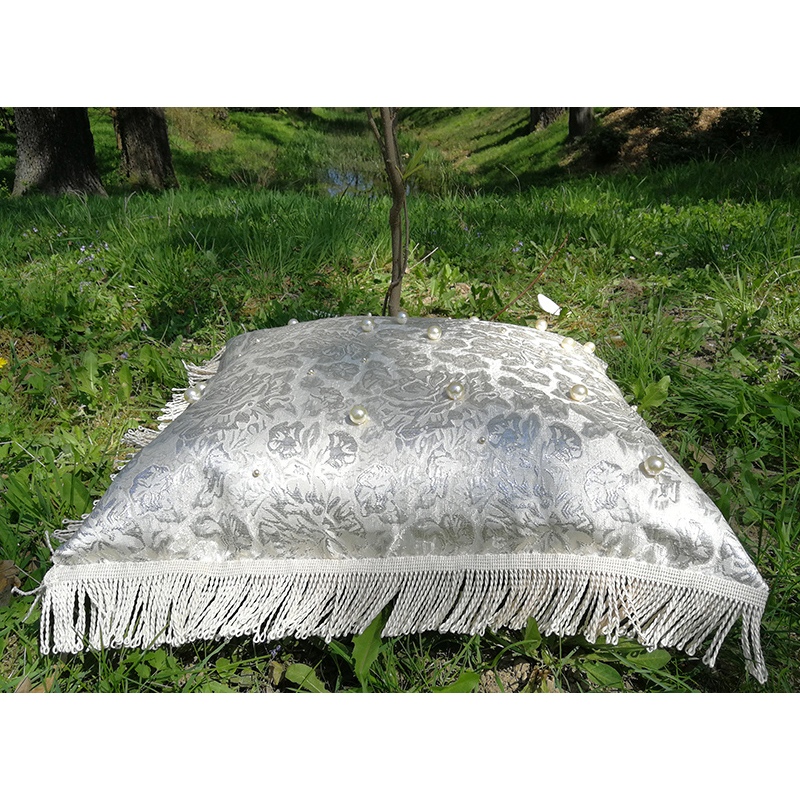 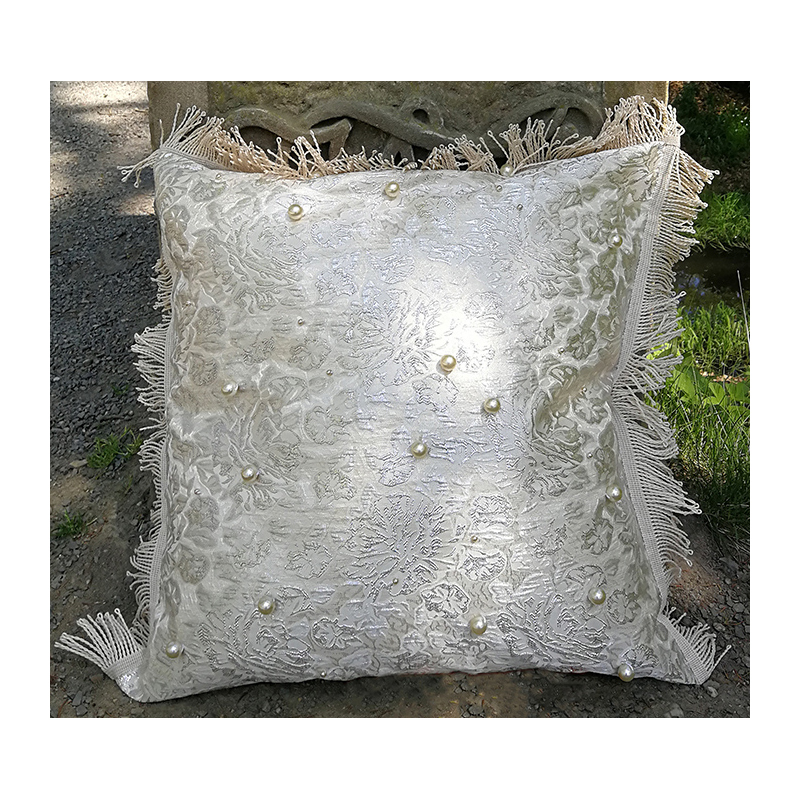 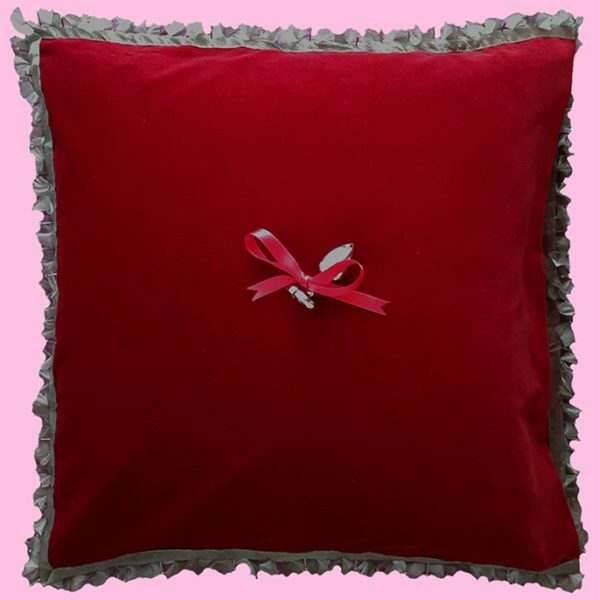 Beautiful decorative pillow with white cultured pearls. Size: 53 x 53 cm. 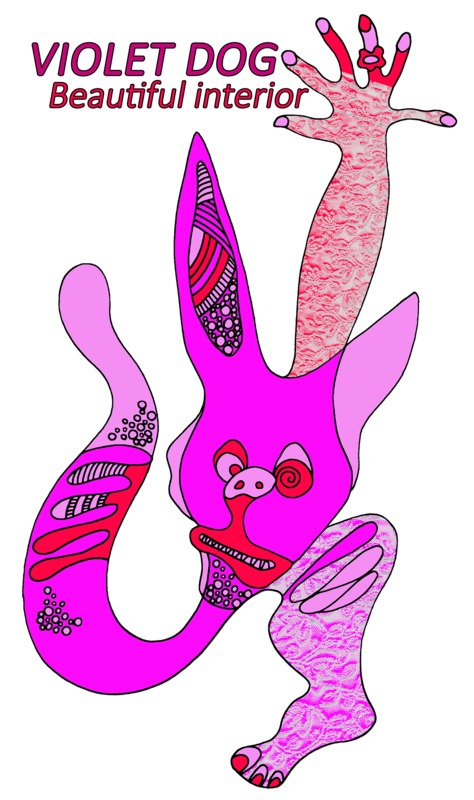 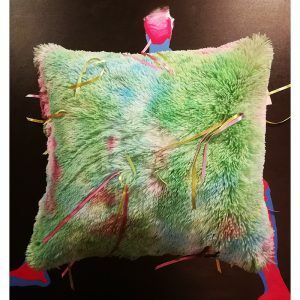 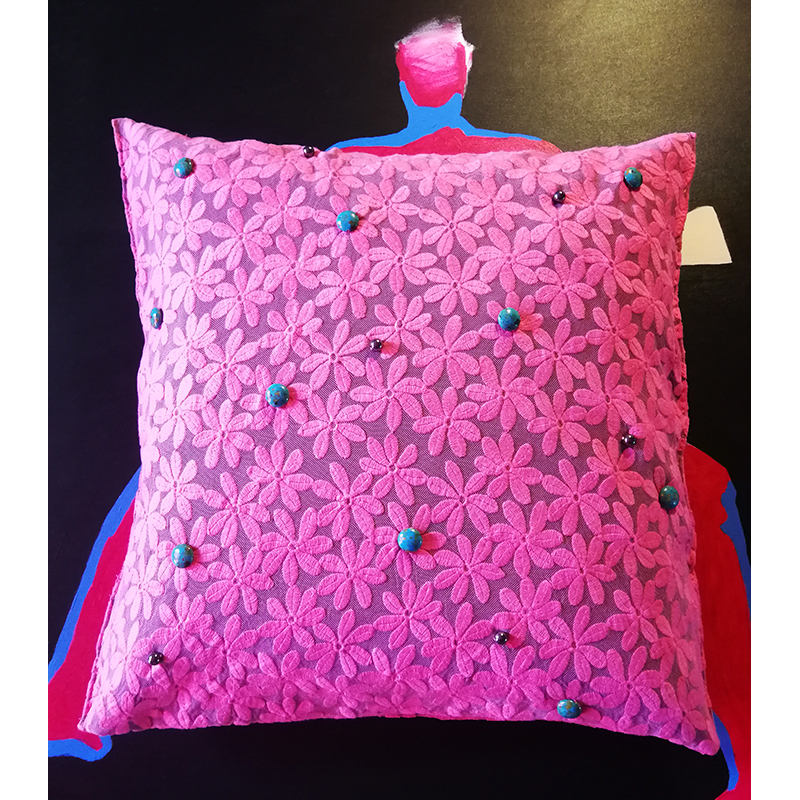 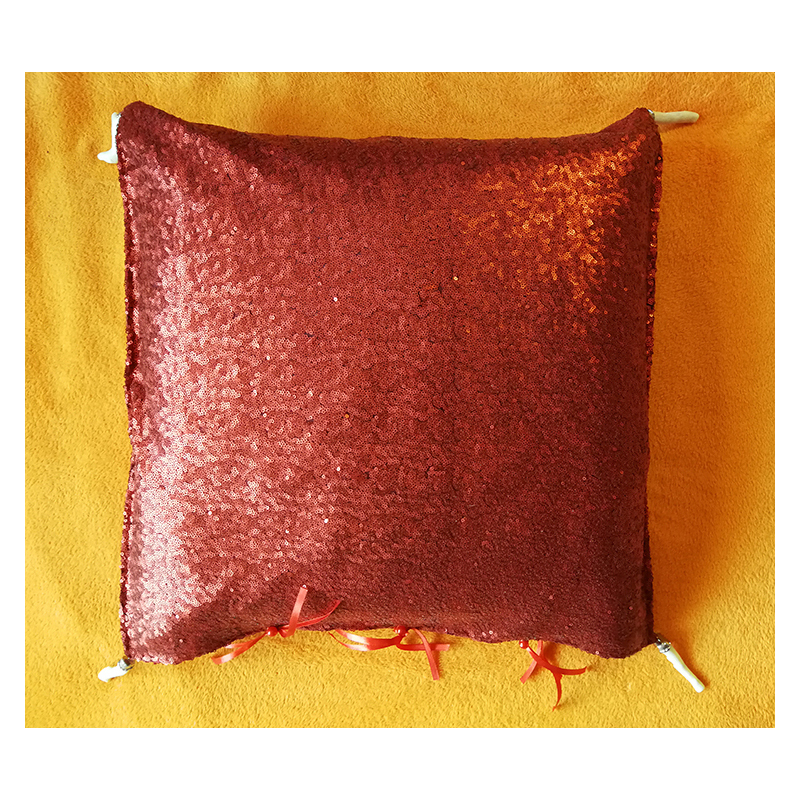 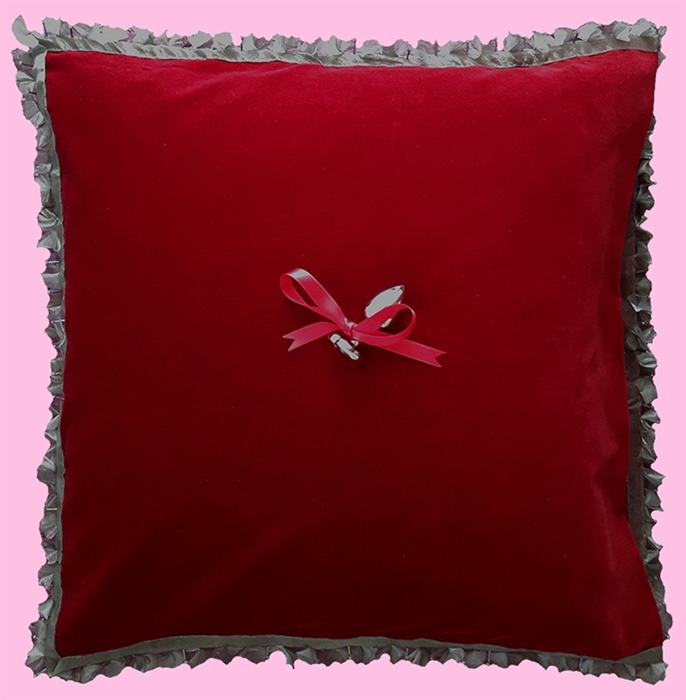 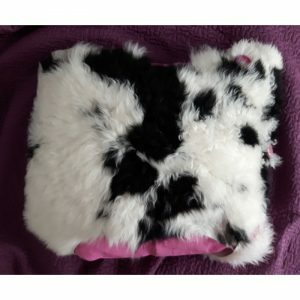 The pillowcase is closed on the overlap, a decorative on both sides, with two “buttons” – pearls. 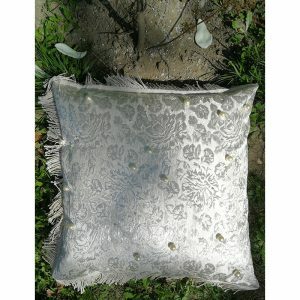 Made of a fabric with delicate floral motifs, in ecru and silver. 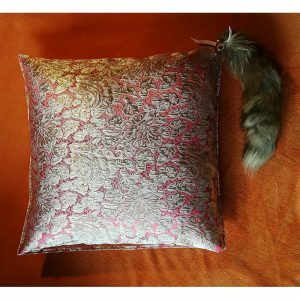 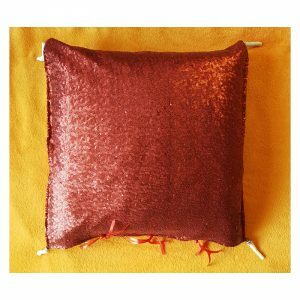 On the pillowcase are sewn with pearls of two different sizes. 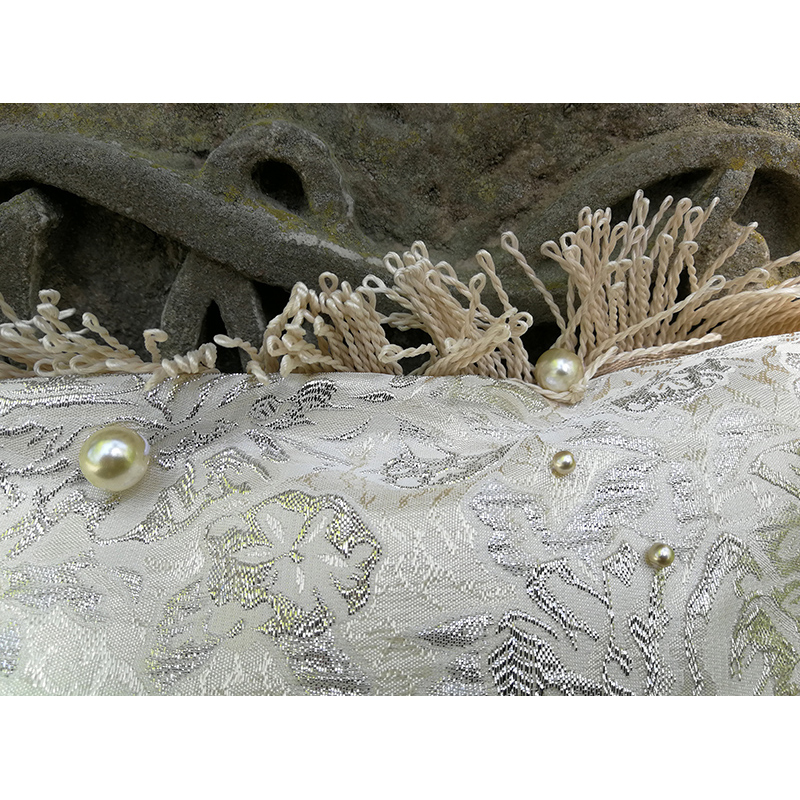 The outer stitches of the covers are sewn on both sides with a decorative tape with ecru fringes.